There was excitement in the air in Palm Springs last Sunday night in the Purple Room Lounge at Club Trinidad. 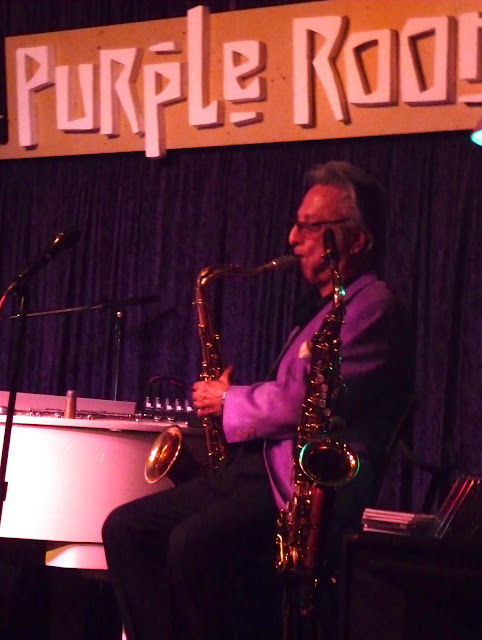 Pat Rizzo, a long-time Palm Springs favorite joined with Pianist, arranger and vocalist Patrick Tuzzolino opened a new show to the delight of a packed house of Palm Springs Jazz lovers. For Pat Rizzo this was a nostalgic return to a place that holds many fond and important memories. It was in the Purple Room that Pat auditioned for an unexpected listener. According to Pat, "Jilly Rizzo sent a limo to Los Angeles to pick me up in Hollywood. I was recording with Sly and the Family Stone at the time. They brought me to Palm Springs and gave me a room at the famous Howard Manor. They took me to the club and put me onstage to blow my horn accompanied by the great Pianist Jose Massters. I had no idea at all that I would be playing four feet away from Frank Sinatra and his complete entourage". Sinatra liked what he heard and as a result, Rizzo played all of Sinatra's parties including the famous New Years Eve Parties at Sinatra's home. It's easy for anyone that has heard Pat play Sax to understand why Sinatra loved Rizzo. Pat swings with his Sax in the same groves that Sinatra sang in. Rizzo had a warm and long relationship with the Chairman of the Board and delighted the crowd by relating lot of Sinatra stories during the show. Joining Rizzo in this new show is the extremely talented singer, Pianist and arranger, Patrick Tuzzolino. Patrick has been performing in the Coachella Valley for many years and has a large group of fans. This was my first experience hearing Patrick play and sing and he was very impressive. Patrick has a rich, deep voice and a smooth Jazz singing style that reminds me of a young Joe Williams. He is a double musical threat. He plays swing Piano in a perfect compliment to Rizzo's Sax playing and also does a great job on the Great American Standards. Patrick has an outstanding voice and I need to hear more of him in the near future. In the audience tonight was the new singing trio, The Blonde Divas. This talented sister trio is on tour and just finished a gig in Las Vegas and were invited to sing a few songs. They live in Portland Oregon and they sing in the harmony style similar to the sound of the McGuire Sisters. Their sound was sensational, and they received a very warm reception from the audience. 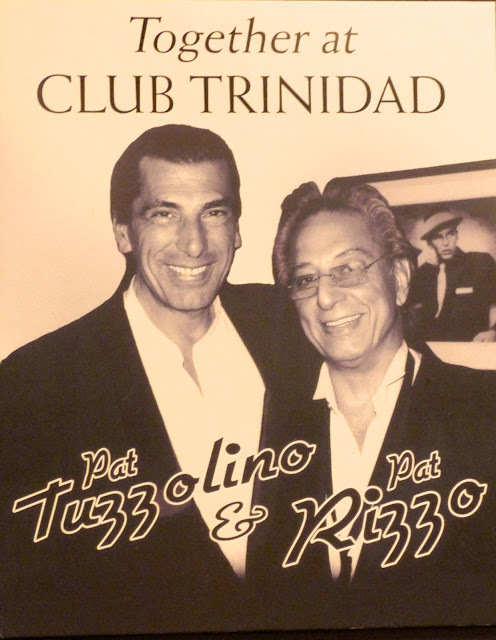 This Rizzo/ Tuzzolino duo will be holding court at Trinidad's Purple Room every Sunday from 7pm to 11pm. From the positive reaction they received from tonight's appreciate audience, I sure they will be performing in this stop for a long time. Pat Rizzo also performs with his great quartet at Vicky's of Santa Fe in Indian Wells on Monday and Tuesday. 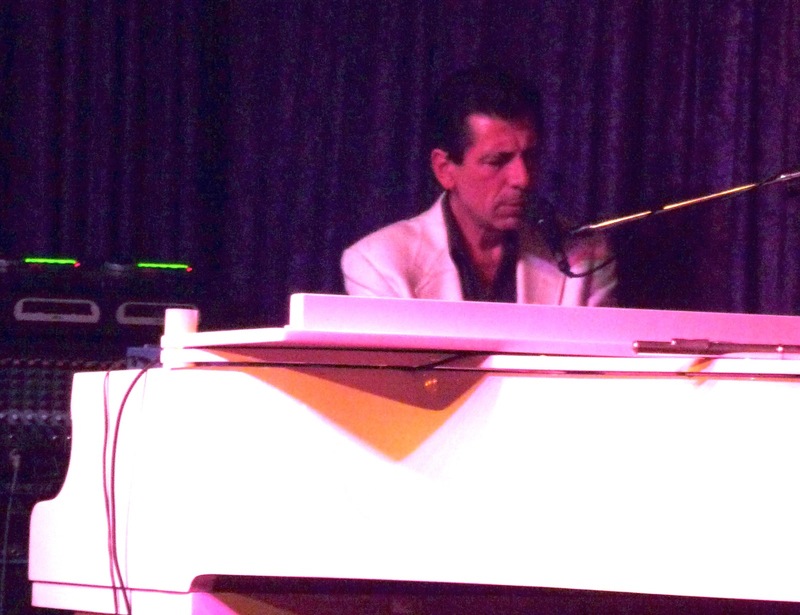 And Patrick performs at Castelli's in Palm Desert every Wednesday through Saturday. 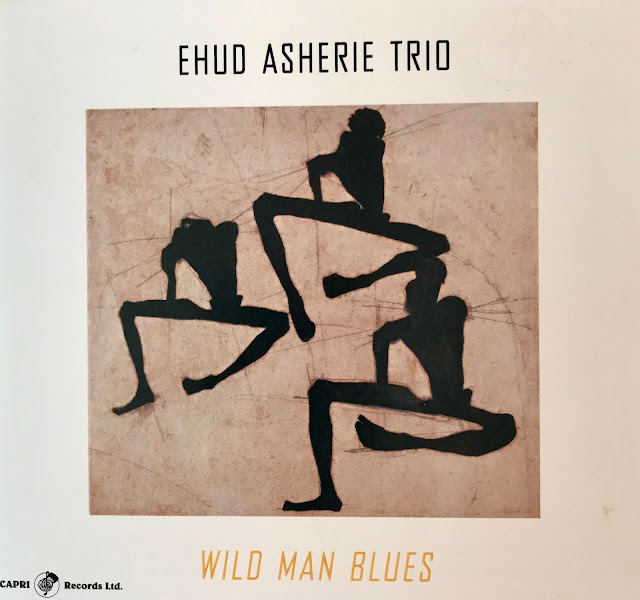 CD Review: Keri Johnsrud, "All Blue"
Mike Costley, Simply One Hell of a Singer! "Live" CDs Trump "Studio" CD's Almost Every TIme!